Try the Bounce Bar for FREE! I decided to have a spur-of-the-moment candlelight dinner today, inspired by the new music in my CD player. One2One Network sent me a copy of Harry Connick, Jr.'s newest album, Your Songs, to review and it really put me in a romantic mood. Now I'll be honest...this isn't the type of music I typically listen to, but I can't help but appreciate the level of talent it takes to pull off music of this caliber. Visit Harry's website to learn more about the man and the music! If you'd like a chance to sample this CD, I have one copy to give away! To enter, all you have to do is tell me which track from Your Songs you're most excited to hear. 1.) Subscribe to my blog (or let me know if you already do). 2.) Follow my blog (or let me know if you already do). 3.) Post about my giveaway on your blog and link back here. 4.) Add my button to your sidebar. 5.) Follow me on Twitter and tweet this giveaway. Giveaway will end Friday, October 2nd at 10 p.m. EST. Winner will be selected at random and will be contacted via e-mail (so make sure that I have yours)! Good luck! I would love to hear Smile. That song was on the soundtrack for Hope Floats and he was in that movie! I would love to hear The First Time I Ever Saw Your Face. We have a brand new baby boy and as first time parents, we can't believe he is our every time we look at him! just the way you are. i've been following Harry Connick Jr since...1990? wow. 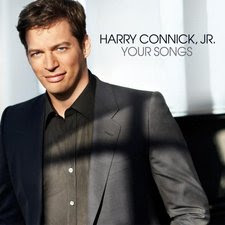 I'm excited to hear "Besame Mucho (Kiss Me Much)" on the newly released Harry Connick Jr CD - Your Songs. And I Love you So is a favorite song of mine. Thanks for the wonderful giveaway. Oh, I love Harry Connick Jr.! I'd love to hear Smile and The Way You Look Tonight. I'm most excited to hear "The way you look tonight". I'd love to hear his interpretation of Nat King Cole's "Mona Lisa"
I'm super excited for "Can’t Help Falling In Love With You." Always makes my heart melt. 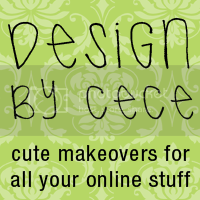 I blogged about your giveaway and linked back. like to win this giveaway. I am excited to hear Can't Help Falling In Love With You! Awww, these songs have LOTS of memories for me, hard to choose.....Awwwwww. I'm feeling kinda sentimental. I would love to hear Harry's version of and I love her by the beetles. I bet it is wonderful! Your Song by Elton John is my pick! I subscribed via email to your blog. Following your blog via Google Friend Connect with my gmail address. I love Harry & the song The Way You Look Tonight, so I'm sure I will love the song even more! I am following One Day One Dollar on twitter and I tweeted about this giveaway! I love the song Who Can I Turn To?!!! Thanks for the great giveaway!